Gardening can be a strenuous task but yields a satisfying result. Whether it’s a flower garden or a backyard vegetable farm, it is an essential part of one’s home. In order to make it less physically demanding, make sure that you have the proper tools like the best garden hoe. A good hoe has a constantly sharp blade angled at 90 degrees, as well as a long handle. 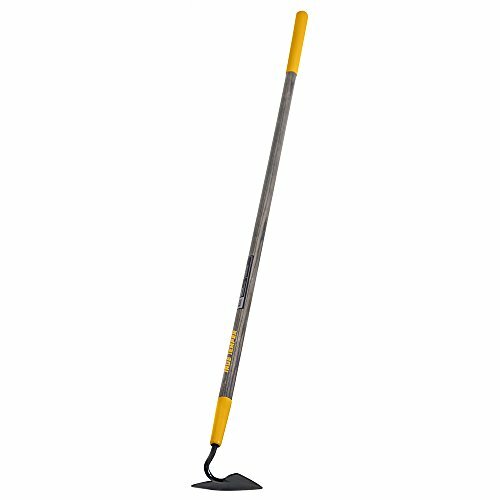 Generally, garden hoe blades come in various sharpness and shapes, but overall, this tool makes digging and spreading the soil extremely convenient. Depending on the type of the blade, the hoe cannot just break up the soil, but also remove the weeds, cut bushes, slice weed roots, and more. That being said, gone are the days when gardening tools like hoes have a one-size-fits-all design. So, what is the best hoe for your gardening needs? Is there a single versatile hoe that can do various tasks? We reviewed three of the top gardening hoes that best match most user tasks and preferences. The three garden hoes we have chosen to review are some of the top-selling models in the market today. The Rogue Prohoe Field Hoe is a wide-blade hoe that can be used in various digging tasks. It is reliable, especially when it comes to helping decrease the physical stress and risk of strain-related injuries. 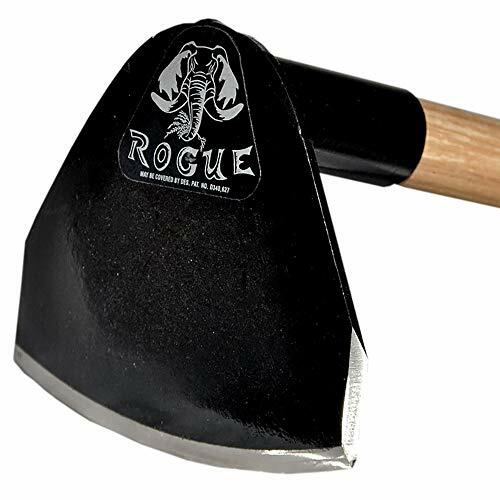 The Rogue Prohoe Field Hoe weighs approximately 4.15 pounds and has dimensions of 65 by 9.4 by 10.4 inches. One of the best features of the Rogue Prohoe Field Hoe is its blade that can perfectly cultivate the soil, break up sod, and steer clear the cut trees up to one diameter. The blade specifically measures seven inches wide and 6.5 inches tall. Made with premium, recycled materials, it is strong and sharp. The Rogue Prohoe Field Hoe is intended for heavy-duty use. In fact, the blade and the socket are welded together to keep them intact even when doing heavy digging tasks. Regarding the handle, it is 60 inches long which can accommodate various users based on their comfort. It is made of hickory wood, making it capable of withstanding forces and elements that can cause breakages. To provide the handle with a secure fit to the head, rivets and special adhesive were added. Additionally, the Rogue manufacturer welded the ferrule directly to the head to secure strong attachment. As one of the four types of hoes in the True Temper series offered by the The AMES Companies, Inc., the Action Hoe is a sleek and simple-looking garden unit. Is it the best garden hoe that can accomplish multiple tasks? Coming in at a size dimension of 58.5 x 6 x 3.7 inches and weight of roughly 2.58 pounds, the Action Hoe is famous for its 54-inch wooden handle. It is made of hardwood material and has a cushion at the end to provide a comfortable grip that minimizes stress and risk of injury. Attached to the handle is a looped steel blade that has a width of six inches and a length of 15 inches. It can conveniently remove weeds and cultivate around the plants. When used back and forth with push and pull movement, it can cut even the roots of the weeds or plants. Another gardening tool from the trusted brand Rogue, this hoe sports the Rogue logo, which is imprinted on the bottom of the blade. Such a design gives it a professional look. What else can it offer? The Rogue Hoe Garden Hoe Tool is a multifunctional hoe that can do a lot of gardening tasks. That is because the blade has different parts which are intended for specific tasks. The pointed edge can be used for digging irrigation trenches or soil and tearing up sods. On the other hand, the 6.5-inch sides can be used for removing weeds and pull up soil dirt and unwanted element to give space for the seeds. Additionally, the other edge of the blade has a three-prong rake that can be used to collect debris and trash. Overall, the blade is made with hardened steel that can be used even in rocky or hard soils, while the wooden handle is thick enough for an easy and comfortable grip. The manufacturer claims that this hoe can last for long years of use. We cannot emphasize enough that you have to make sure you have the appropriate tools to make gardening efficient, fast, and comfortable. It should be a fun hobby and a rewarding job, but it should not compromise your health and physical abilities. With the best garden hoe, every task can be an effective physical therapy for maintaining bone flexibility and range of motion. While the three garden hoes we reviewed above are sturdy and well-designed, it is essential to choose a specific type that can help you with multiple gardening tasks. 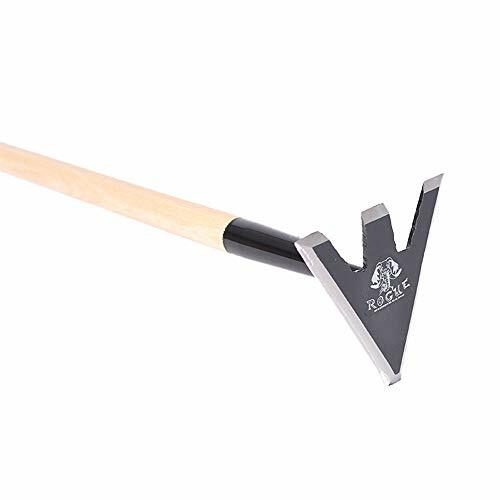 If you do a lot of gardening and even farming, the Rogue Hoe Garden Hoe Tool is the best choice. It has a blade that is made of some of the best steel and has been constructed with great attention to details. It has multiple parts such as a pointed area and three prongs, and each of which is great for doing particular tasks. Although the Rogue Backyard Garden Hoe is quite expensive, it is the one that will last the longest among the three; in fact, even up to a lifetime. It also offers great value for money because of its multi-functionality, as well as the comfort it provides the user. With this single tool, definitely, gardening is a lot easier!